Sometimes a traditional or pretty scene of landscape catches your eye and you think, arrrrhh that’s like a picture from a chocolate box. But then maybe I’m showing my age !! I just googles it and …. Chocolate box art originally referred literally to decorations on chocolate boxes. Over the years, however, the terminology has changed; it is now applied broadly as an often pejorative term to describe paintings and designs that are overly idealistic and sentimental. They are shown here on display in my own 1:12 miniature property The Gallery, my own little art gallery. When buying direct from this my ART In Wax website the prices on include Free UK postage. International orders please ask for postage costs. 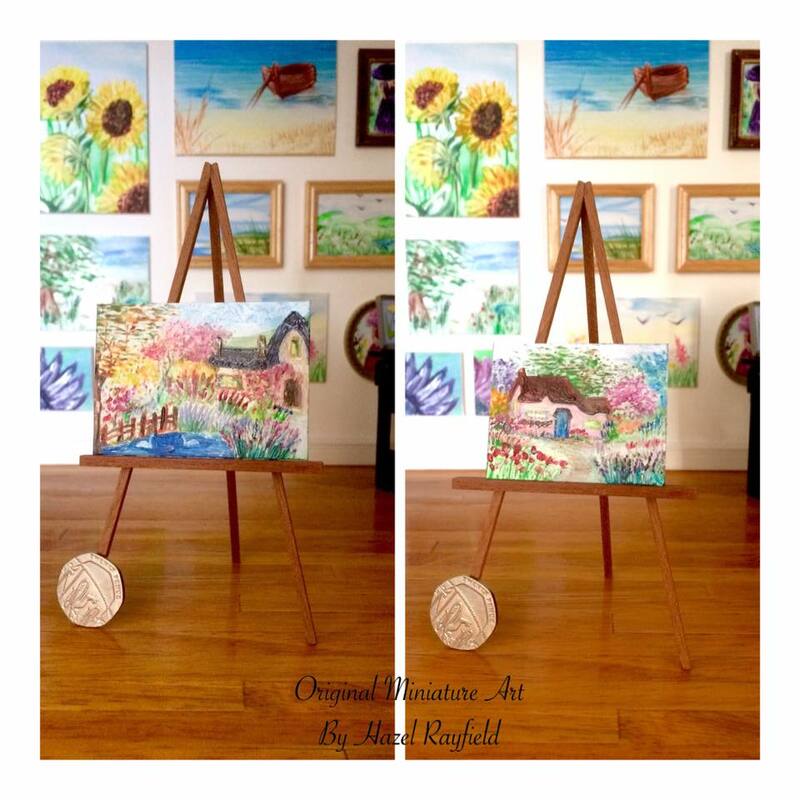 Original #miniature #dollhouse Art Painted using encaustic hot wax paints.